Nortal, a multinational strategic change and technology company located at Estonia in Northern Europe, has appointed Marek Helm as its new general manager for the GCC and Africa region. Nortal has extensive experience in carrying out mission-critical and high-impact projects across Europe, the Middle East and Africa, and has been a partner and vendor for some of the most efficient tax organisations in the world. 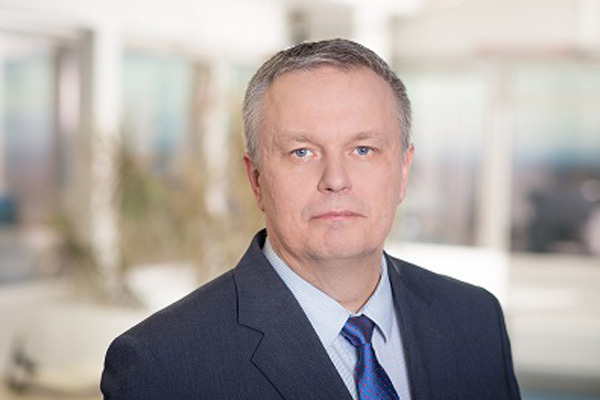 Helm led the tax and customs board in Estonia, reported by the Tax Foundation repeatedly as the most competitive tax system in the Organisation for Economic Co-operation and Development (OECD) from 2011 to 2016, before joining Nortal in 2017 to head the public finance and change management team, said a statement from the company. Before that, Helm had handled various managerial and executive positions in different ministries and authorities in the Estonian region for more than 20 years, it said. Priit Alamäe, founder and chief executive officer, said Nortal first entered the region nearly 10 years ago and has since built a track record of successful projects with a strong and committed team led by former manager Peeter Smitt. “We have proved that the export of our unique experience in digital transformations can be successful, and we see a lot of potential in this region which embraces innovation and new technologies,” stated Alamäe. “With world-class experience in digital transformations combined with 20 years of experience as an executive, Helm is a natural fit to run our operations in the GCC and Africa,” he added. On his new role, Helm said: “I am looking forward to unlocking new opportunities for the company as well as contributing to executing the ambitious and innovative visions of the countries in the region." Some of the key Nortal projects in the region include its role as a consultant for the Dubai government for the Smart Dubai 2021 vision which has set a target to make all public services available online round-the clock, said the Estonian company. Under this initiative, there will be no need for residents to visit any government service centre in person as users will receive all the results and documentation of services in electronic form on mobile devices, it stated. In June, Nortal had signed an agreement with Al Maskari Holding, one of the most reputable groups in the UAE, to introduce its unique experience in creating change in governments, as well as businesses, with a strategic approach and data-driven technology in the UAE, it said. The group was also behind the renowned business e-portal “Invest Easy” that was named among the top five best government-to-business (G2B) solutions in the world by reputable Global Enterprise Registration rating.